As part of this policy we choose to ship by UPS orders within the European Union that are not service remote areas. If the order registered before 18:00 (and that product is in stock), then the parcel is packed and shipped the same day. The delivery time ranges from one day to destinations in Central Europe, two days in the rest of Europe and 3 ~ 5 days elsewhere. The shipping cost is automatically calculated from the TPL system in cooperation with UPS. 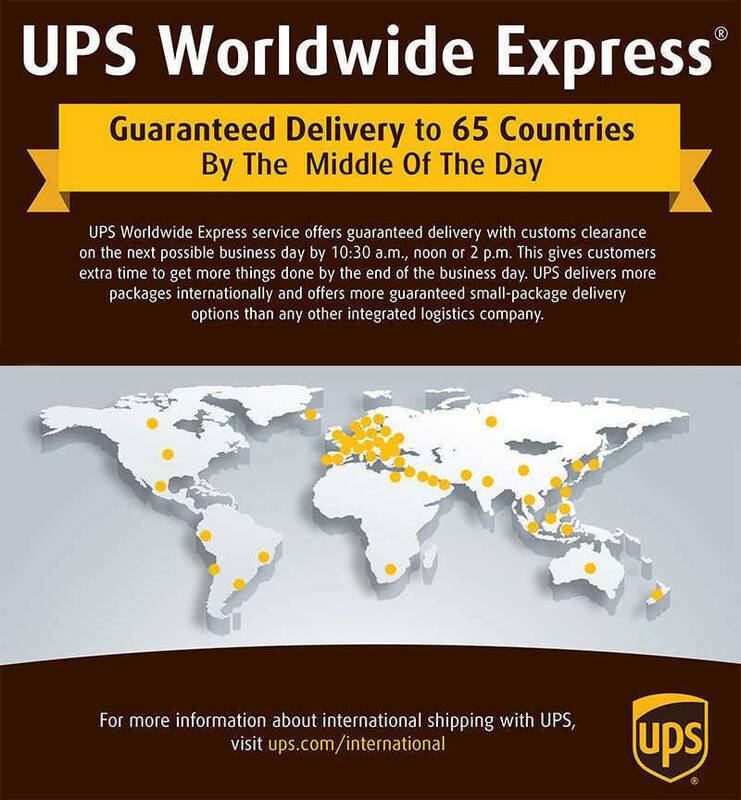 All shipments with UPS are detectable via UPS Tracking Service.